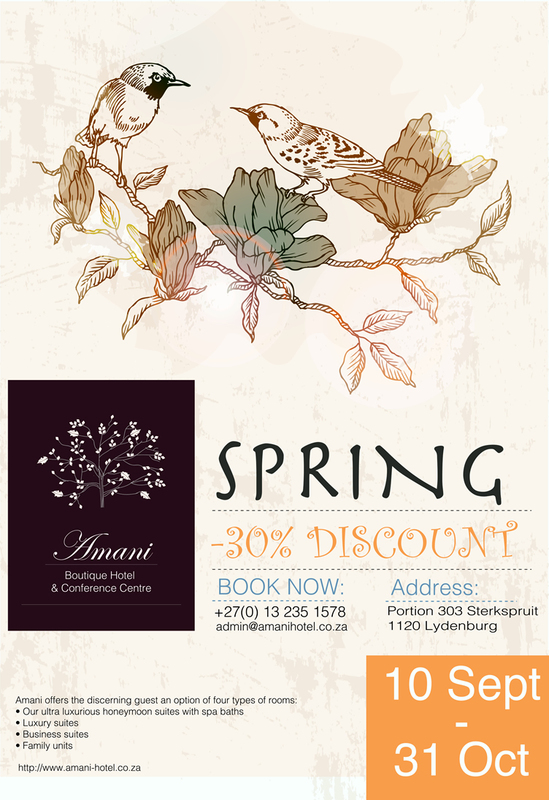 The Amani Hotel's accommodation in Lydenburg is a dream come true, offering discerning guests a place in nature with amazing views on the mountains and valleys, as well as the Mpumalanga Parks Board dams. 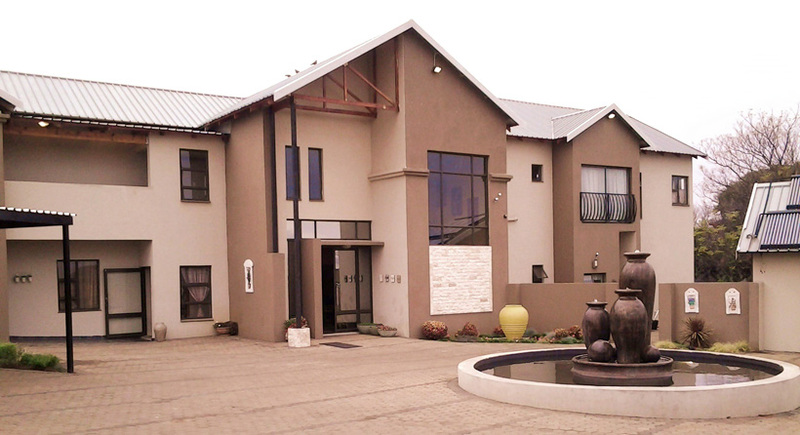 We are situated on the border of the picturesque Lydenburg, very close to restaurants, shops, doctors and whatever services and products you may require. The word “Amani” is a Swahili word that means “Peace” or “Tranquility”. On offer are various options ranging from ultra-luxurious Honeymoon Suites with spa baths, to Family Units. The spacious rooms have access to DStv, wireless Internet, complimentary tea and coffee-making facilities and other guest amenities. You will experience the tranquility of Lydenburg and its surroundings in the privacy of your room, or as you stroll past the grazing horses; walk past the dams and watch the blessbuck and rich bird life. You may hear the call of fish eagles and see them circling high above the dams. A 100% cancellation fee for guaranteed bookings will be charged for cancellations less than 48 hours prior to arrival.